It’s no secret that Sony’s smartphone division has been struggling to turn a profit for some time. To help address its slide, it has accelerated its flagship smartphone program with the launch of the Snapdragon 845-powered Xperia XZ2 range in April quickly followed by its successor, the Xperia XZ3 launching in early October. It too was powered by the Snapdragon 845, but had a more elegant design and featured the first OLED display on a Sony device. 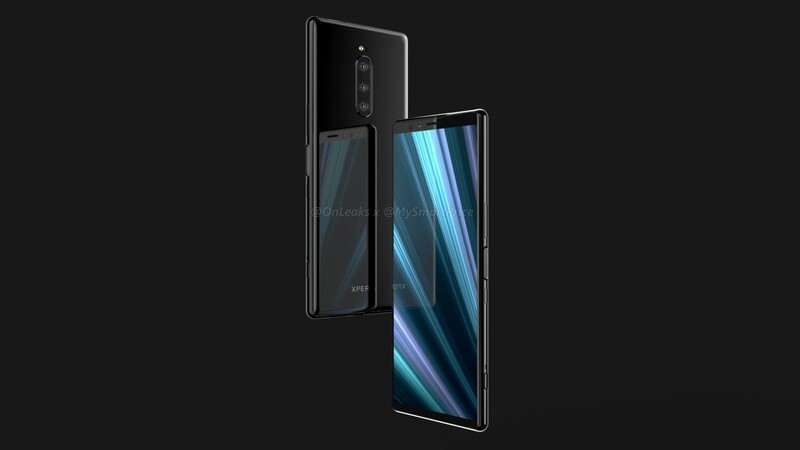 Seemingly not content with its progress, a recent rumor surfaced indicating that the Xperia XZ4 will launch as soon as February with three rear cameras to coincide with Mobile World Congress 2019. Now, a fresh rumor has revealed further details about the device, including that it could be the first smartphone to ship with the all-new Snapdragon 855. As if that wasn’t exciting enough, the device will also come with up to 256 GB of storage and a near Galaxy Note 9-equalling 3,900mAh battery. The Xperia XZ4 is also set to pick up a taller 21:9 6.55-inch OLED panel made by LG, which with any luck, will be a good thing. An LG OLED display is fitted to the smaller Pixel 3 and, thankfully, users haven’t reported any issues with this panel unlike last year’s LG OLED-equipped Pixel 2 XL. It will also ship with Android 9 Pie out of the box, although Sony has stuck with a traditional Android navigational approach to the UI, instead of the newfangled swipe method incorporated into stock version of Google’s latest and greatest OS.